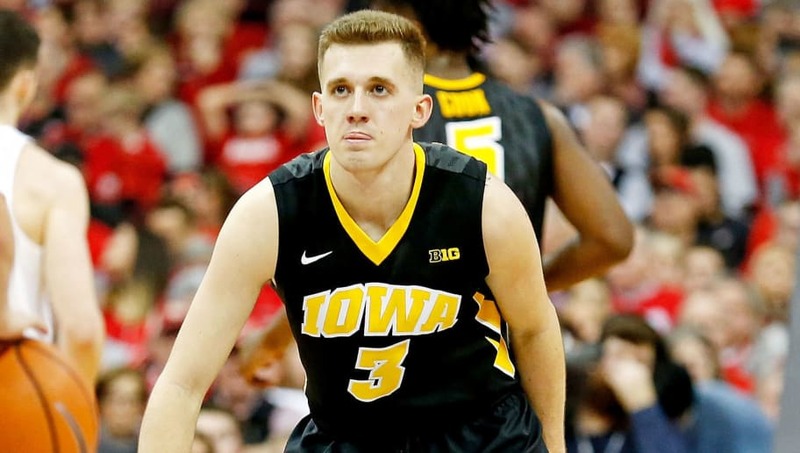 ​Iowa Hawkeyes sophomore guard Jordan Bohannon was on the verge of making history on Sunday, but he purposefully botched it for an incredible reason. Bohannon had made 34 straight free throws, one shy of breaking the school record held by former Iowa great Chris Street. But with around two minutes left in the game, Bohannon had a chance to break the record, but missed it on purpose. Street is an Iowa legend, and back in 1993 he sunk 34 consecutive free throws. Sadly, three days later he was killed in a car accident. Bohannon has grown close with Street's family and he wanted to make sure his name was still in the program's record books. “That’s not my record to have. That record deserves to stay in his name,” Bohannon said after the game. I don't know anyone who would be critical of this decision, which is something he'd been thinking about for some time. Tip of the cap, my man.